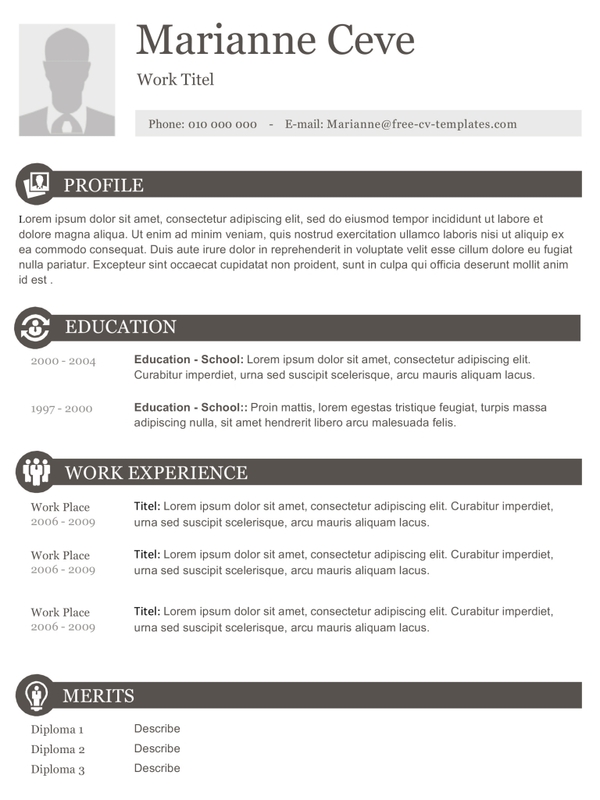 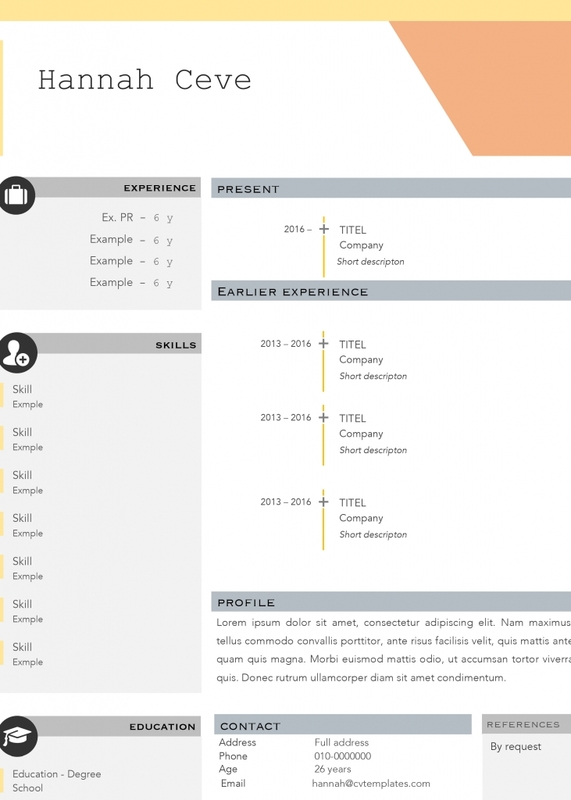 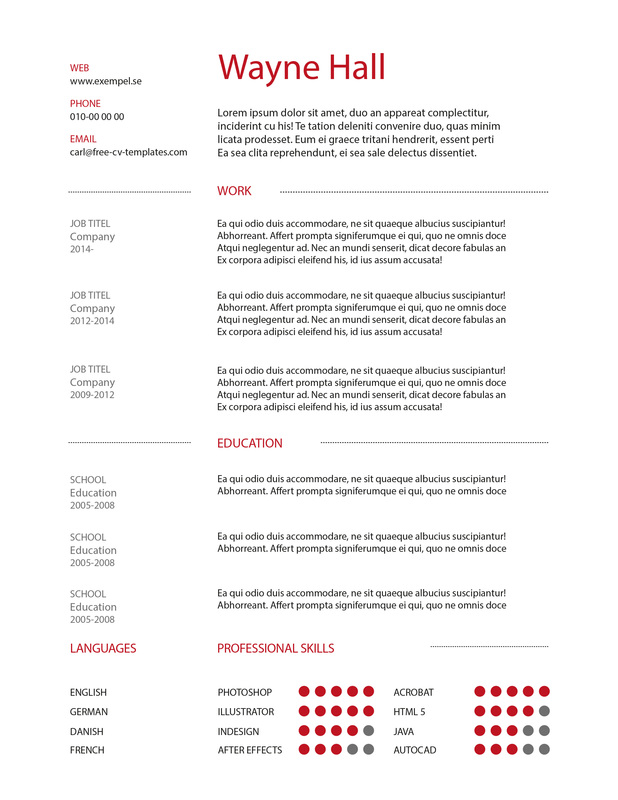 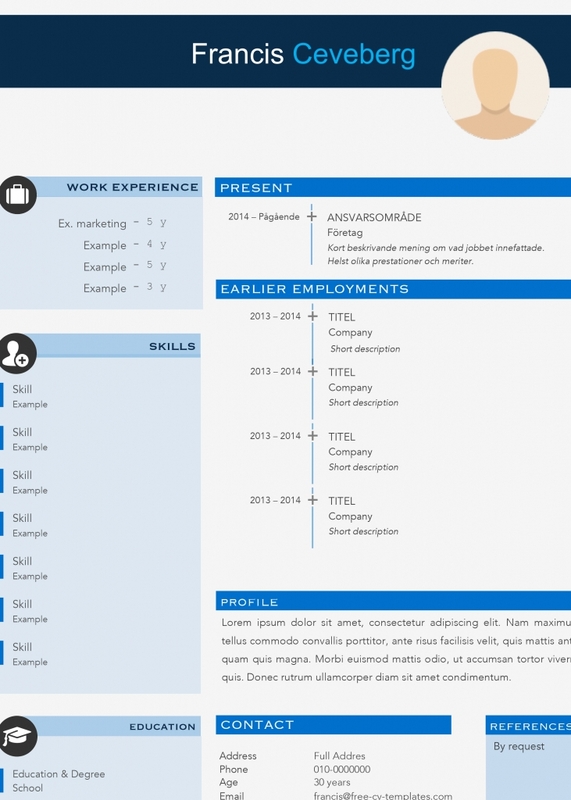 Clean and beautiful CV template. 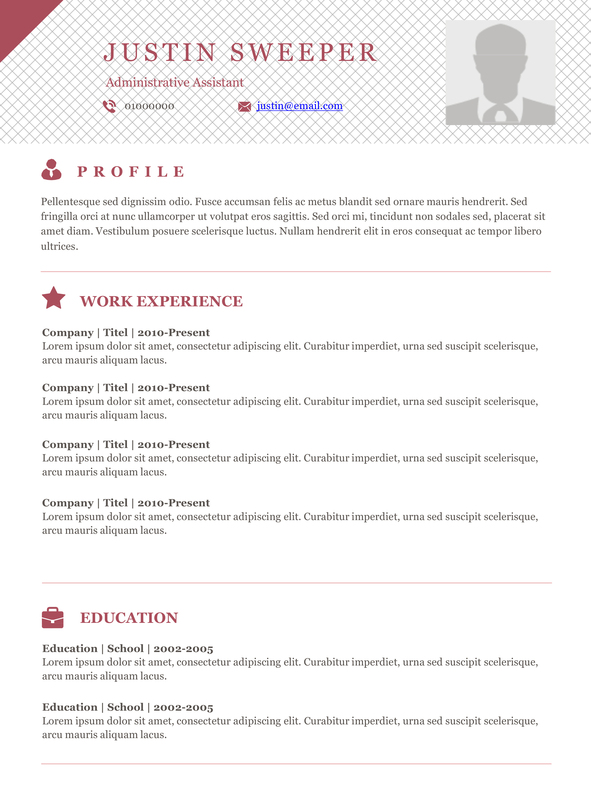 Suits all kind of office jobs. 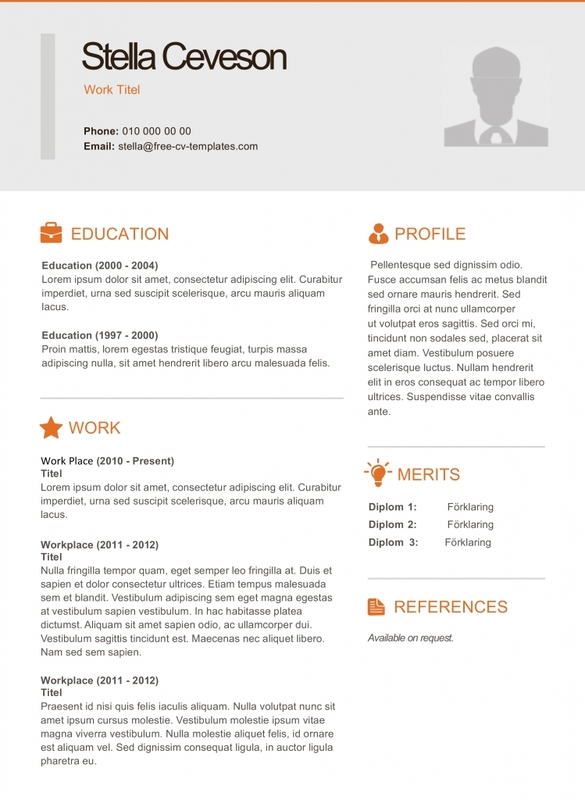 Contains only three elements; profile, work experience and education. 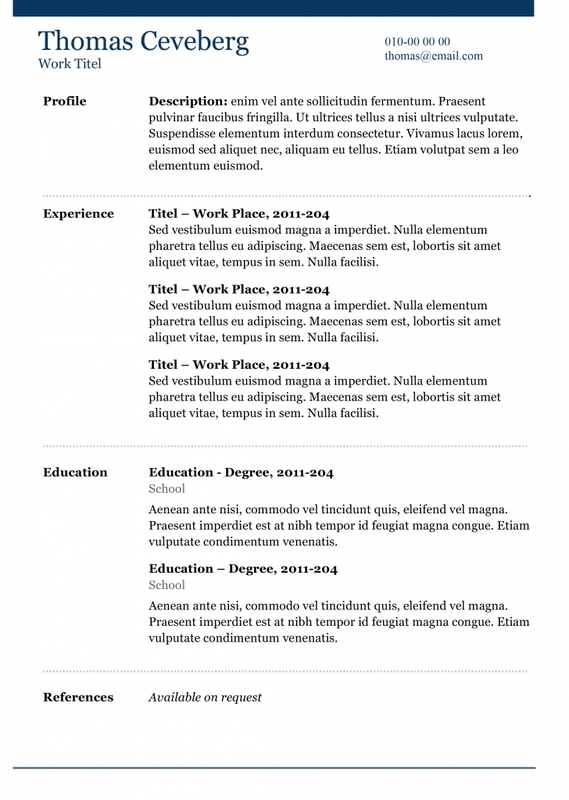 Add more, like “skills”, by just copy-paste an element and change the text.